The financial side of running a business can be one of the biggest hurdles for first time business owners. In fact, according to a US survey, 54% of small business owners rate ‘budgeting effectively’ as one of the major challenges of operating a business. It’s no secret that it's important to get your finances in order early on and figure out exactly what you need to spend money on, and what you can do without. Some start up expenses are unavoidable and well worth the investment, while others are unnecessary and may slow down the growth of your business. 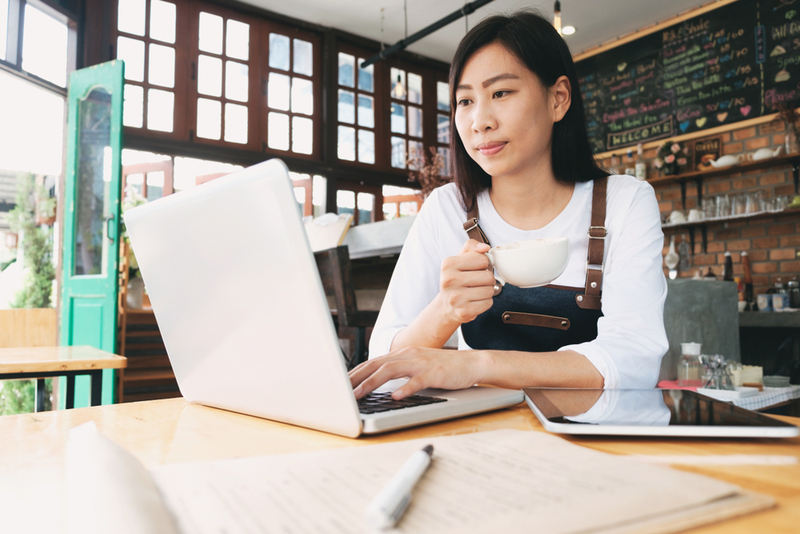 When you’re writing up the start up costs for your business plan, you’ll need to determine what services or programs are going to be essential for you to run your business. You might be tempted to purchase the latest software or a new gadget that promises to make your job easier, but try to hold off. Remember, you can always upgrade as your business grows. You don’t need the latest subscription service or app right away. When the time is right, you can revisit these costs but you don’t need to include them in the start up phase. It’s exciting to get new employees on board, but it’s important to hire people for the right purpose. You might start with one or two staff members to lessen your workload, and as things pick up you can hire more people. More hands on deck doesn’t necessarily mean less work for you or even more business, so keep in mind that staff numbers should reflect the workload rather than try to anticipate it. The first Apple computer was designed and built in Steve Jobs’ parent’s garage. There’s no shame in starting a business from your home or garage—some of the biggest companies in the world started this way! Start small and work your way towards bigger and better things, this way you can keep your costs low. An office that’s too large for your needs is going to become a burden quicker than you realise especially since you have to consider rent, equipment and furniture to fill up the empty space. While there’s nothing wrong with wanting to create a pleasant ambience with some nice pictures hanging on the walls or plants to liven up your space, your start-up could probably do without the $9000 leather couch and marble coffee table. Decorating and interior design is something that can be built upon over time, and it is possible to create a stylish look on a budget! Depending on your business, you may not need them all but as your business grows you’ll need to stay on top of these costs. Operations costs include things like your internet, phone and utility bills as well as any software or equipment you’re going to need. Depending on your business, the amount you invest will vary. Consider what is essential to helping you run your business and if you’re unsure, do the research for your industry. Equipment is every machine you will need to maintain the operation of your business. This could be a cash register, coffee machine, cleaning equipment or a computer. Depending on the type of business you are operating, products and services are going to form part of your budget. Things like stock or inventory, materials and goods. If you’re a service provider you may need to outsource some tasks, so you’ll need to take that into account when you create your budget. You can read more about business costs here. As a budding entrepreneur, it’s important to educate yourself about how to run every aspect of a business, including the financial side. Upskilled’s Administration and Business courses can provide you with tools and resources to build upon your knowledge and transform your business. Whether you’re opening a cupcake bakery or following your dream of owning a tech start up, every business has the potential to be successful. It all starts with making wise financial decisions and treating your business as an investment.